The present environmental situation – heavily influenced by climate change – could lead to a massive destruction of forests and the extinction of countless species. 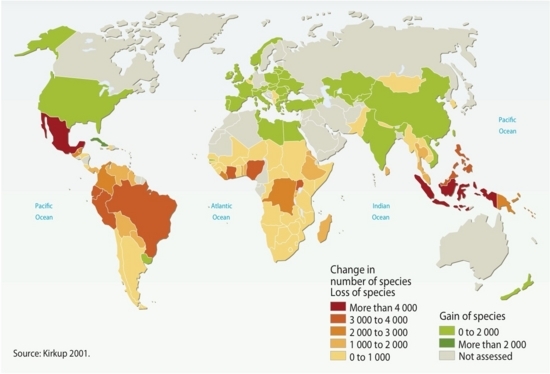 For example, modelling focusing on the Amazon region has indicated that 43 per cent of 193 representative plant species could become nonviable by the year 2095 due to the fact that changes in climate will have fundamentally altered the composition of species habitats (Miles et al. 2004).